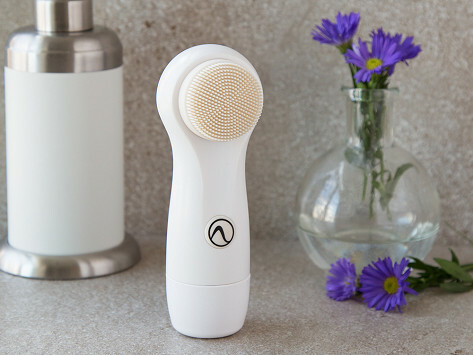 Cleanse skin with an electric face brush that ditches traditional bristles in favor of better-for-skin antibacterial silicone. The brush is shower-safe and vibrates to help the silicone glide over skin without causing abrasive friction. And this special silicone is imbued with Tourmaline, which produces health- and mood-boosting negative ions. The rubberized head does not spin. I thought it would spin. Iwish it would spin.